Sticks of cassia cinnamon. Note the way the bark curls on the rearmost stick. The spice cinnamon is derived from the bark of a tropical tree. It is sold in sticks, which are the dried, curled bark, and as the ground powder. True cinnamon comes from a tree which Linneaus named Laurus cinnamomum, but which has latterly been called Cinnamomum verum (Jan Presl, 1825) and Cinnamomum zeylanicum (Nees, Blume). This tree is native to Sri Lanka (the former Ceylon). Most of the cinnamon sold in the United States is not true cinnamon, but cassia, a closely-related but inferior spice. There are several varieties of cassia. In stick form, cassia can be distinguished from true cinnamon by the way the bark curls. In sticks of true cinnamon, the bark curls from both edges, forming two spirals, in a sort of B shape. Cassias curl from only one edge, forming a single spiral. For the sensory differences between the various cinnamons, see Gernot Katzer's excellent webpages (links below). The most powerful of the cassias is Saigon or Annam cinnamon, from Cinnamomum loureirii. Chinese cassia comes from a tree with the scientific name Cinnamomum aromatica (also called Cinnamomum cassia). Other species are also exploited. Someone should study the genomes of this group of plants and sort out their relationships (and find the cinnamon gene?). It is possible to buy the spice online direct from Sri Lanka, e.g., www.ceylon-cinnamon.com/ , which also has a brief description of current cultivation practices. The peeling commences early in May, and continues until late in October. The rains which precede, and occur during the southwest monsoon, produce such a degree of succulency in the shoots as to dispose the bark and wood to part easily. The setting in of the rainy weather immediately produces a fresh crop of scarlet or crimson-coloured leaves. The cinnamon harvest begins by dividing the peelers into small parties, which are placed under the directions of an inferior superintendent. When they are to peel in the plantations, each party has a certain extent of the plantation allotted to it. A few of the party cut shoots; while tbe remainder are employed in the wadu (or peeling shed) to remove the bark and to prepare the cinnamon. When the chaliah perceives a bush with shoots of a proper age, he strikes his ketta (which resembles a small bill-hook) obliquely into a shoot; he then gently opens the gash, to discover whether the bark separates easily from the wood. Should the bark not separate easily, the shoot or branch is not deemed fit for cutting. The chaliahs seldom trust implicitly to any external mark of the proper condition of the plant, and rarely try a shoot until the scarlet leaves have assumed a greenish hue. Some plants never acquire a state fit for decortication. Shoots of many years' growth often bear the marks of numerous annual experiments to ascertain their condition. Unhealthy, stunted plants, are always difficult of decortication; and the cinnamon procured from them is generally of an inferior quality. The peelers do not cut shoots or branches whose diameter is much less than half an inch, or more than from two to three inches. To remove the bark, the peeler commences by making with his kokette, or peeling knife, through the bark, a longitudinal incision, of which the length is determined by the figure of the shoot. A similar incision is made on the opposite side of the shoot, and when the branch is thick, the bark is divided in three or four places. The kokette is next introduced under the bark, which is gradually separated from the wood, and laid aside. When the bark adheres firmly to the wood, the shoot is strongly rubbed with the handle of the kokette. These sections of bark are carefully put one into another, the outer side of one section being placed in contact with the inner side of another, and are then collected into bundles, and firmly pressed or bound together. In this state the bark is allowed to remain for 24 hours, or sometimes more: by which means a degree of fermentation is produced that facilitates the subsequent operation of removing the cuticle. The interior side of each section of bark is placed upon a convex piece of wood, and the epidermis, with the greenish pulpy matter under it, is carefully scraped off with a curved knife. During the operation the peeler sits upon the ground, and keeps the bark steady upon the piece of wood with his heel or toes. The bark dries, contracts, and gradually assumes the appearance of a quill or pipe. In a few hours from the time the cuticle is removed, the peeler commences to put the smaller tubes into the larger, and introduces also the small pieces. By this means a congeries of quills is formed into a pipe, which measures about 40 inches long. The cinnamon is suspended in the wadu upon open platforms for the first day. The second day it is placed in the sun, on wicker shelves, to dry. When sufficiently dry, it is collected into bundles of about 30 lb. weight each, and in this state deposited monthly in the government magazines at Colombo or Galle. When newly prepared, cinnamon has a most delicious odour: this odoriferous quality becomes gradually fainter. Cinnamon is at first of a light-orange colour, which becomes a shade darker by exposure to the air. The bark of old trees acquires a reddish-brown colour. Shortly after the cinnamon is deposited in the storehouses, the inspection of it commences. The East India Company employ an inspector and two assistants to superintend the sorting and baling of the cinnamon. The manipulation is performed by natives. Each bundle is placed on a table or large bench; the bundle is untied, and the cinnamon examined quill by quill. It is divided into a first, a second, and a third, or rejected sort. The first and second sorts are alone deemed of a quality fit to form the Company's investment. The sorting of cinnamon consists chiefly in detecting or separating what is coarse, and otherwise of a bad quality, including the impositions of the peelers. This is chiefly performed by inspection. Habit alone enables the people employed to discover by a single glance of the eye what is considered defective. Tasting is very rarely had recourse to. The bark of the large shoots, or thick branches of trees, produces coarse cinnamon, which is generally rejected by the sorters. This cinnamon is thick, and has a reddish-brown colour, rough surface, loose texture, and is coarse-grained. It breaks short, shivery, and crumbling. When chewed it is disagreeably pungent, feels gritty, ligneous, and sandy, in the mouth. The peelers occasionally scrape off the external pellicle of this quality of cinnamon. This operation thins the cinnamon and improves the colour, but leaves it with a coarse, rough surface. This quality of cinnamon is always rejected. Cinnamon prepared from the bark of very young and succulent shoots is rejected. It is light straw-coloured, thin, and almost without flavour or taste; and what little aroma it possesses is very evanescent. Mildewed or half-rotten and smoky cinnamon is rejected. When the peelers are overtaken with rain at a distance from sheds, the bark they have previously collected ferments, becomes decayed, and inodorous. In such situations they frequently retire to caves, or very confined huts, where they kindle fires, to procure warmth and to dress their food. The smoke arising frum these fires often greatly injures the bark, and renders it unfit to be manufactured into good cinnamon. To increase the weight, the peelers sometimes stuff the quills of cinnamon with sand or clayey earth, thick ill-prepared pieces of bark, &c. &c. When these impositions are suspected, the quills are undone, often broken, and the foreign mixtures removed. This is one of the many causes which prevents the cinnamon from being in quills of nearly equal length. Cinnamon produced beyond the river Keymel on the north, and the Wallawey on the south, is generally condemned. It is light-coloured, greatly deficient in aromatic flavour, astringent, bitter, and has sometimes a taste similar to the rind of a lemon. Even between these limits the cinnamon produced differs greatly in quality. Differences of soil, and exposure, are very evident causes of a difference in the quality of cinnamon. Shoots exposed to the sun are more acrid and spicy than the bark of those which grow under a shade. A marshy soil rarely affords good cinnamon. It has often a pale yellow shade, approaching to the colour of turmeric. It is loose, friable, and gritty, and its texture coarse-grained. It possesses little of the spicy taste of cinnamon. Very often, however, the cause of the inequality of this spice is not apparent; the bark of different shoots of the same bush have often very different degrees of spiciness. The first and second sorts are weighed, and put up into bundles, each weighing 92½ lbs. English. Each parcel or bale is firmly bound round with ropes, and then put into double gunnies. The outside of the bale is marked with the number of the quality of the cinnamon, and the initial letter of the name of the protected plantation from whence it is procured. The bales of cinnamon which are procured in the neglected plantations, the woods of our own territory, or in the Candian country, are marked A. G. (Abandoned Gardens.) The Company export their cinnamon from Colombo, or Galle, and the interstices between the bales are filled with black pepper. *On an average of ten years, it appears that about one-sixth of the cinnamon collected has been rejected as unfit to form a part of the Company's investment. The specimens of cinnamon from China which I have seen differ from good Ceylon cinnamon in being darker colored, rougher, and not so well prepared, denser, and breaks shorter, but without crumbling. It is more pungent, and has a flavour easily distinguishable from Ceylon cinnamon. The taste is harsher; and, when chewed, is more ligneous. Ceylon cinnamon has a delicious sweetness, which is not very perceptible in China cinnamon. Some of the tubes are deficient of the spicy qualities of cinnamon; and sometimes pieces are found which have an astringent and bitter taste. A Description of the Laurus Cinnamomum. Annals of Philosophy, vol. 10, pages 241-256 (October 1817). Marshall's paper contains many explicit corrections of errors of earlier authors, notably Burman and Thunberg. Cinnamon is the inner bark of the laurus cinnamomum, a handsome-looking tree, which grows naturally to the height of 18 or 20 feet, in Java, Sumatra, Ceylon, and other islands in the East Indian seas. It has been transplanted to the Antilles, particularly Guadaloupe and Martinique, as well as Cayenne, but there it produces a bark of very inferior value to the Oriental. Cinnamon is gathered twice a year, but not till after the tree has attained to a certain age and maturity. The young twigs yield a bark of better quality than the larger branches. The first and chief harvest takes place from April to August; the second, from November to January. After having selected the proper trees, all the branches more than three years old are cut off; the epidermis is first removed with a two-edged pruning knife, then a longitudinal incision is made through the whole extent of the bark, and lastly, with the bluntest part of the knife, the true bark is carefully stripped off in one piece. All these pieces of bark are collected, the smaller ones are laid within the larger, and in this state they are exposed to the sun, whereby in the progress of drying, they become rolled into the shape of a quill. These convoluted pieces are formed into oblong bundles of 20 or 30 lbs. weight, which are placed in warehouses, sorted and covered with mats. Good cinnamon should be as thin as paper, have its peculiar aromatic taste, without burning the tongue, and leave a sweetish flavour in the mouth. 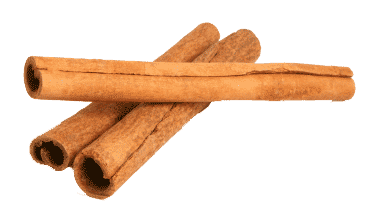 The broken bits of cinnamon are used in Ceylon for procuring the essential oil by distillation. London: Longman, Orme, Brown, Green & Longmans, 1839. Cinnamon is grown on the islands of Sumatra, Borneo and Nicobar, in the Phillippine Islands, in Cochin China, Burmah, and the Malabar coast of India; and successful efforts have been made to raise it in Brazil, Guiana, the Bourbon and Mauritius islands, the West Indies, and several parts of North Africa. It grows best, however, in the country where it seems to be indigenous, a comparatively small district in the immediate vicinity of Colombo, in South Ceylon. Here all the conditions of climate and soil seem to combine in favor of the plant. It grows wild in the woods, though the wild cinnamon is by no means so highly esteemed as the cultivated variety. Near Colombo are the cinnamon gardens, of which the five or six largest, lying together, have a circumference of twenty miles, and the most of the Ceylon product is grown in this small district. In the centre of Ceylon the cinnamon tree is rarely seen; in the north it is absolutely unknown—a curious phenomenon, for the conditions of climate are by no means so different as to account for the anomaly. The cinnamon tree is grown from seeds or slips, which readily take root and grow to the height of twenty or thirty feet. The cinnamon of commerce is the bark of shoots from eighteen months to two years old. Old branches produce a cinnamon so coarse as to be worthless. Young shoots bear a green and bitter bark, and it is a matter of some importance to a cinnamon-grower to be able to hit the happy medium and cut his shoots at the exact time when the product is in its best condition. The tree is not allowed to grow to its full height, but is cut down at the second or third year, when young shoots spring up from the stump, and five or six only are allowed to grow. When these attain the height of five feet they are cut, and two crops in each year are generally taken from the ground, the one in May, the other in November. The trees produce indefinitely; for there are some plants which have been known to bear for upwards of three hundred years, and how much longer no one can say. The shoots are cut and trimmed, after which the bark is stripped off, tied in bundles and covered, when in about twenty-four hours a process of fermentation begins, which enables the outward and green portions of the bark to be scraped off. This done, the cinnamon is dried in the shade, and in the process curls up in the form familiar to all cooks. It is then packed in “quils,” the smaller rolls within the larger, and made into bundles about three feet long and weighing 92 pounds. Caste in India is still all-powerful, and the men who handle cinnamon must all be of the Chalia caste, for the members of this class have from time immemorial devoted themselves either to the cultivation of the plant or to the preparation of the bark. In the government houses in Ceylon the cinnamon is carefully examined by experts, who chew samples in order to ascertain its grade. This part of the business is exceedingly responsible, and also painful and unhealthy, for the constant chewing of the pungent spice speedily makes the tongue and mouth sore, and an expert can seldom work at his trade more than a month at a time. So they relieve each other, one set working for a month, then resting two or three months to get their mouths in proper condition to resume business. Three grades of cinnamon are known, but only the first two are exported, the coarsest varieties being set apart for another purpose. ...the price is kept down by the lower grades of cinnamon, better known as cassia, which, in spite of all precaution and prohibition, will find their way to the European markets. There was for a considerable time uncertainty concerning the true nature of cassia, but it is now known to be a low grade of cinnamon, and is grown in a great many places where the conditions are not adapted to the production of the better article. When the latter becomes too costly, cassia takes its place, and, indeed, always finds a large sale, being much cheaper than the best varieties of cinnamon. The oil of cinnamon, another product of the tree, is obtained by distillation of the bark. During the preparation of the cinnamon of commerce many of the sticks are broken and so rendered unmarketable. These are all thrown to one side, and all the bark of the lowest grade alluded to is mixed with these broken stems, the whole macerated in sea water and subjected to a process of distillation. The quantity of oil obtained is exceedingly small in proportion to the amount of cinnamon used, for 40 pounds of cinnamon bark will only produce 3½ ounces of oil. Two kinds of oil are obtained from cinnamon—the one light and volatile, the other much darker in color and very heavy. The light oil is preferable for medicinal purposes, but for making extracts the dark heavy oil answers the purpose equally as well, and in one distillation there is two and one-half times as much of it as of the superior variety. Bulletin of Pharmacy, vol. 9, no 4, page 164, (April 1895). Last revised: 23 January 2012.